menstrual leave: delightful or discriminatory? Russia could be the first European country to introduce paid leave for menstruation if a bill is passed in the state Duma. The bill, introduced by Liberal Democratic Party of Russia (LDPR) member, Mikhail Degtyaryov would see women paid for two days off during their period. These two days would effectively equate to 24 in a year, almost doubling the mandatory annual leave Russian workers are allocated. While the thought of two paid days off a month might sound appealing to some, the LDPR’s bill is being slammed by Russian human rights activists as discriminatory. The rhetoric of Degtyaryov’s rationale can be seen as a red flag if translations by the English-speaking media are true to his terms. Degtyaryov’s argument in the bill is a patronising account of menstruation, equating the monthly physical experience of an individual to a wider social problem in the workplace: ‘Strong pain induces heightened fatigue, reduces memory and work-competence and leads to colourful expressions of emotional discomfort’. Given the sway of his political party, however, it is fair to say that there is little evidence of the intention lost in translation. In spite of the LDPR’s name, it has typically been described as a nationalist, conservative faction slamming both communism and American-style capitalism, though still holding the Ruble above all else. Perusal of their domestic policy shows no agenda for improving the status ofwomen while inextricably tying in women with their reproductive capabilities as “mothers”. As such, the party has attracted criticisms for promoting traditional gender roles, particularly with the menstrual leave bill, notably from activists claiming the bill isn’t a serious attempt at bettering working conditions for women. This isn’t the first time the LDPR has come under scrutiny for their traditionalist agenda on gender. The LDPR’s figure head, Vladimir Zhirinovsky, has been quite outspoken about women in the workforce, particularly in high profile positions. Zhirinovsky notably dismissed the credibility of Elvira Nabiullina as the head of the Russian Central Bank, despite her Philosophy Doctorate in economics and developing economic policy in the 1990s as Russia transitioned into capitalism, saying the job required ‘male brains’. But this isn’t to say the LDPR completely ignores women as an economic resource on the condition they conform to other gender roles. Looking at Degtyaryov’s choice of words and the LDPR’s agendas, the more likely outcome of Degtyaryov’s bill would be to alienate women further in the workplace and preserve the current workplace culture. Russian business culture is undoubtedly masculine, mirroring a wider patriarchal order. The sense of equality of the country’s Soviet era (the 1918 constitution was the first in the world to, in theory, grant women equal status) has declined sharply since the introduction of capitalism with the transitioning economy leading to skilled female workers becoming underemployed, unemployed and paid significantly less to this day. Menstrual leave could compound the issues at hand for women working in Russia’s masculine business culture, as the wording of the bill brings into question the professional capabilities of women. Despite the country’s constitution and labour code prohibiting sexual discrimination in the workplace, the prospect of paying for menstrual leave could lead to unfair outcomes in the hiring process. Given Russian women routinely experience thinly veiled discrimination when they inform employers of their children or pregnancy, this additional time off will undoubtedly become a drawcard for hiring male workers. Furthermore, the Russian legal system is typically ineffective in giving appropriate remedies for sexual discrimination and in the case of sexual harassment – which is not yet prohibited by Russian law – only two cases have been won against employers in the past two decades. Five countries have successfully incorporated menstrual leave into their labour laws to date, including Japan (where leave was granted after lobbying by female workers), South Korea, Taiwan, Indonesia and the Philippines. If done correctly – i.e. respectful of female employees’ capacities and not writing them off as an emotional write off for seven days of the month – the idea of paid leave for menstrual complications could be beneficial, particularly if an employee has used up all their sick leave. While not all women experience the extreme side effects Degtyaryov suggests, women suffering from reproductive illnesses such as endometriosis would undoubtedly benefit. Potentially, paid menstrual leave could also lead to a breaking down of the taboos surrounding the normal, healthy bodily process women go through each month. But regardless of how well a menstrual leave policy could be implemented, there can be barriers to taking the leave. In South Korea, women refrain from taking paid menstrual leave due to the social impact this will have in the workplace. This is namely due to a collectivist culture leading to worries about the burden their leave will have on co-workers. Conceivably, privacy issues derived from menstrual taboos could play a part. 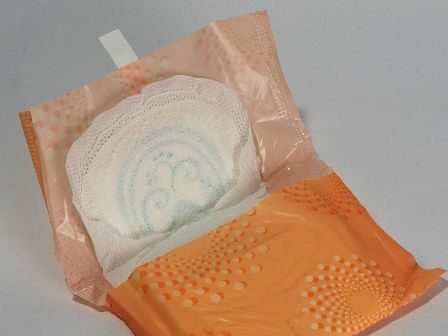 The right to menstrual leave is not readily publicised in some businesses as well, with Korean women unaware of their right to one day per month regardless of their position or how long they have been working at the business. While it is unclear whether Degtyaryov’s bill will garner enough support in the Duma to be passed, it is clear the bill won’t lead to a better working life for Russian women. Menstrual leave is something that needs to be planned in a manner that does not inhibit the perceived professional credibility in the workplace and in a way that will make it accessible. Until a leave policy accommodates women on these levels, one could see the policy as unhelpful. What do you think, Lipsters? How would you react if your employer offered you two days of menstrual leave every month? I believed it was a common practice to allocate a ‘sick’ day in lieu of Menstrual pains when feeling particularly run-down? Perhaps that’s just been my previous roles. I worked in one cafe where there was not a single man employed, purely coincidence (or was it?) so this was an issue that we faced on occasion. However there are some contraceptives that stop periods pretty much all together – it’s not an employer’s business to know about an employees cycle, or even lack there of. Women have a tough enough time going through menopause – do we suddenly announce to our bosses, “Oh, so I don’t need those days anymore. I’m going through the change of life”? Taking a sick day if you’re not feeling up to it at all is perfectly acceptable in my book. We don’t need to be ‘assigned’ days and we don’t need to be treated ‘differently’ in the workplace just because we’re women. Are you passionate about Gender Equality, Education, or Human Rights? Did you know that numerous Tanzanian girls are being forced to drop out of school and give up on their education when they get their periods, just because of the school’s lack of sanitary facilities? Interested to learn more? For further information about this issue of how the educations of Tanzanian girls are affected by menstruation, visit my website. As a woman, I think 2 days menstral leave a month is great. Because i get period pain for 3 days in a row. Because woman are in pain, with pain in their abdomen area, small of back pain, and head and feel like crap, this would be a excellent idea. Two days off a month while mensurating would allow female workers to rest their bodies and re-energize them for work. Woman get very tired when they are mensurating as they are losing blood that carries Iron than give you energy. When woman are mensurating they feel really tired and weaker than when they are not mensurating. Some woman periods can last 9 – 11 days as well. My periods last 6 days. It would be absolutely great for all woman if they could get 2 days mensuration leave a month. Thank you. This entry was posted in Culture, Opinion, World and tagged menstruation, women in the workplace, womens rights, workplace discrimination, world. Bookmark the permalink.